UT Southwestern Medical Center’s pediatric brain tumor team has dedicated subspecialists, state-of-the-art radiation technology, and access to advanced pediatric treatments that other hospitals in North Texas don’t offer. We treat 80 to 100 children with brain tumors each year, and we established the first pediatric neuro-oncology program in Texas. Our multidisciplinary approach to brain tumors is led by our neurosurgeons, who work closely with colleagues in the Harold C. Simmons Comprehensive Cancer Center. 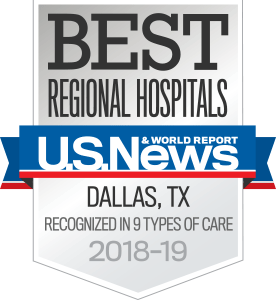 As the only National Cancer Institute-designated comprehensive cancer center in North Texas, UT Southwestern is a national leader in delivering state-of-the-art care. Brain tumors, although rare in children, represent the second most common cause of cancer found in children, after leukemia. But there’s reason for hope: Children have a better chance than adults of being cured if the tumor can be removed. With some tumors in children, additional treatment after surgery might not even be needed. 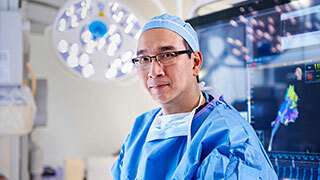 UT Southwestern’s pediatric neurosurgeons are some of the most gifted neurosurgeons in the country and have, along with their colleagues in neuro-oncology, radiation oncology, and neuro-radiology, dedicated their lives to the care of children with brain tumors. Together, our team provides excellent care for each child. Brain tumor treatments – and outcomes – are related to the type of tumor, the location of the tumor within the nervous system, and other factors. The signs and symptoms of brain tumors vary quite a bit and depend on size and location of the abnormality. Medulloblastoma or PNET (primitive neuroectodermal tumor): This is the most common tumor in children and can spread throughout the nervous system. While its causes are not fully understood, significant advances in its diagnosis and treatment have been made in the past 25 years. The five-year progression-free survival has improved from less than 20 percent to greater than 70 percent. Our team is performing ongoing studies to reduce treatment-induced problems while improving survival rates. Ependymoma: The third most common brain tumor in children, about 90 percent of pediatric ependyomas are located within the intracranial compartment, while the remainder exist within the spinal canal. About half of pediatric ependymomas occur in children younger than 5 years. Surgery is the primary form of treatment. The most important factor in prognosis appears to be the degree or extent of surgical resection. Radiation is often needed to improve survival. Our specialized team offers advanced techniques to minimize the effect of radiation on critical parts of the brain while treating the tumor. Craniopharyngiomas: Considered benign tumors, craniopharyngiomas can nevertheless have a very malignant or difficult clinical course. The location is intimately associated with the visual pathways, hypothalamus, pituitary gland, and limbic system, which can cause significant problems with visual, endocrine, and cognitive and psychosocial function, both at presentation and after treatment. While open surgery has been the mainstay of treatment for many of these tumors and often offers curative resection, it is not without risks. Radiation, intratumoral therapy, and minimally invasive surgery have also shown success. Choroid plexus tumors: Choroid plexus tumors are relatively rare in children. They arise from the neuroepithelial lining of the choroid plexus (tissue that produces cerebrospinal fluid, or CSF) within the ventricles or cavities in the brain. These tumors range from very well-demarcated benign tumors to highly aggressive and infiltrating carcinomas. They can reach a very large size and are often associated with hydrocephalus at diagnosis. The benign variants, in spite of their large size, have an excellent prognosis and are potentially curable with complete microsurgical resection. From the perspective of the surgeon, they are challenging lesions because they possess an impressive vascular supply often buried deep within the tumor mass or opposite the surgeon’s trajectory. This complex tumor anatomy often requires multimodal therapy. We might use endovascular (minimally invasive) techniques to identify and reduce the blood flow to these tumors, which can make surgical resection safer. Our multidisciplinary team of advanced pediatric neurologic experts includes interventional radiologists and neurosurgeons who primarily treat complex cerebrovascular disorders in children, in combination with our pediatric neurosurgeons. Pineal region tumors: This group of tumors includes germ cell tumors, germinomas, non-germinomatous germ cell tumors, embryonal cell tumor, yolk sac tumors, teratomas (immature vs. mature), pinealoblastomas, and pineocytomas. Pineal region tumors represent a rare and challenging problem to pediatric specialists. The location deep within the brain surrounded by critical blood vessels and the top of the brainstem presents a surgical challenge. The types of tumors and their response to different treatments is highly variable. The presentations with hydrocephalus or varying degrees of brainstem dysfunction can also impact treatment. The traditional standard of care had been to abandon aggressive surgical resection in favor of spinal fluid shunting followed by empiric radiotherapy. Attempts at surgical resection were undertaken only if there was no response to radiation. While this combination of CSF diversion, radiation, and observation was sometimes successful, patients with benign tumors were exposed to unnecessary and ineffective radiation. With the advent and improvement of microsurgical, stereotactic, and endoscopic procedures, all available through our multidisciplinary team, the need for empiric radiation or shunting can be avoided at UT Southwestern. Therapeutic decision-making is based on the type of tumor rather than its response to a trial of radiation. Lifelong follow-up of children with these tumors is required. Surgery, chemotherapy, radiotherapy, and radiosurgery play a unique role for these tumors. When parents come to UT Southwestern for treatment of their child’s brain tumor, we will arrange for the child to receive a CAT scan or an MRI to help confirm a tumor, as well as its exact location before surgery. One of our neurosurgeons becomes a single point of contact for the child’s treatment. He or she will help guide the child’s care and coordinate our multidisciplinary approach to treatment and healing. All aspects of a child’s care will be handled at UT Southwestern. Because of our doctors’ expertise and our state-of-the-art facilities, we never refer patients to outside providers. In most cases, we cannot make a diagnosis based on imaging. A child will ultimately need surgery to determine the type of tumor. It is the most important step to recovering from a brain tumor. Surgery is necessary to establish a diagnosis, relieve symptoms, and remove the brain tumor. If we can remove all or most of the tumor, a child has a better chance for cure. We won’t know if additional therapy, such as chemotherapy or radiosurgery, will be needed until after surgery. We have extensive experience in minimally invasive skull base, endoscopic, endovascular, and radiosurgical techniques using the latest technologies. For example, our neurosurgeons work closely with our neuroradiologists to employ a variety of advanced neuroimaging modalities. These novel techniques, which include diffusion tensor imaging (DTI), functional magnetic resonance imaging (fMRI), and frameless stereotaxy, enable us to adjust our route to a tumor and remove a tumor with the least amount of damage to critical or sensitive parts of the brain. This imaging can also help define if a tumor – once thought to be unresectable based on conventional imaging techniques – can be safely removed. Our offering of these advanced techniques provides improved clinical outcomes for our patients. Our team also offers Gamma Knife and LINAC-based forms of radiosurgery for pediatric brain tumors – techniques that no other institution in North Texas has readily available for children. These treatments offer a safer, more effective way to deliver radiation to children than conventional radiation therapy, which is used sparingly in children because of the risks of cognitive problems later in life. 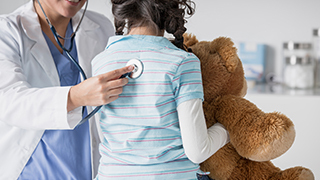 Cancer care for children is based on protocols established through clinical trials. Clinical trials allow access to the latest treatments before they become the standard of care. Our clinicians direct the clinical operations of the Children’s Health NONC (neuro-oncology) program and are members of the Children’s Oncology Group (COG), a national childhood brain tumor consortium that provides our patients access to experimental therapies and new treatment developments. These clinical trials and protocols are often limited to academic institutions with large comprehensive programs. One of our current clinical trials allows us to look at the biologic activity of the diffuse intrinsic pontine glioma (DIPG) in children and tailor chemotherapy treatment based on our findings. This research is groundbreaking because the pontine glioma, which typically affects children between ages 6 and 10, has remained resistant to all forms of treatment in spite of intense clinical and research efforts. This clinical trial is one of the first studies designed to evaluate and treat the tumor based on its own specific biologic activity. We are here if you need us. Call us to help you through this journey. Search for opportunities to participate in a children's health research study.